For centuries wood flooring has been sought out for the emotion and character it adds to any building, and engineered hardwood flooring is fast growing in popularity. Chevron is another popular choice for designers. 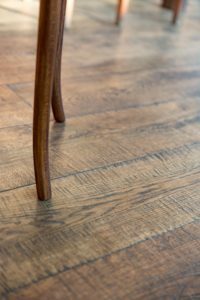 Timelines show us that solid wood flooring peaked in the late 1940s when plywood, synthetic fibre carpeting and vinyl floors were invented. These dominated the markets until the 1960s when another newcomer to the market was introduced – a true product of innovation – engineered flooring, which today along with solid hardwood flooring, has grown tremendously in popularity around the world. Both species of flooring have remained sough after because of their simplistic function in buildings due to their neatness and hygiene appeal (easy to keep clean). Engineered flooring, should not be confused with laminate flooring which is typically layers of pressed wood with an image imprinted onto the surface and a clear coating to give it the impression and feel of wood. Engineered hardwood floors offer real wood, affordability and beauty through the variety of choices available and are currently one of the trending products for designers. It allows customers the solid true wood they want with the technology underneath. Typically, engineered hardwood flooring is available in two types, three-ply multilayer and multi-ply. The difference between these options is that three-ply multilayer is as simple as it sounds with three layers – one surface layer of hardwood, one centre layer of a softwood (usually a single board) and then the base layer. Multi-ply is different in the way it is produced and in South Africa is a preferred option for clients. It has a hardwood surface layer (typically oak) bonded to multiple layers (between three and 12) of birch and poplar. These pieces are cross-layered, bonded and pressed together to create a solid core. Birch and poplar are considered sustainable woods and are therefore the preferred choice for the layers. The skip sawn or cross cut design is created by passing the hardwood layer through a texturing machine. achieved by the way it is constructed. It also makes the tongue and groove of multi-ply boards more resilient to factors such as these. Three-ply multilayer board generally costs less than a multi-ply board because there is less work involved in its construction. The more layers the board has, the more stable the floor is likely to be and therefore last. If you have under floor heating as an example, because of the direct influence of the heat, multi-ply boards are generally a better choice. Engineered flooring is allowing clients to choose various intricate flooring patterns and these can be achieved with easy installation. Complicated patterns now come in a square block sets which also fit together with a tongue and groove system, and are thus way faster and cheaper to install, while still getting a solid wood surface and the desired look. 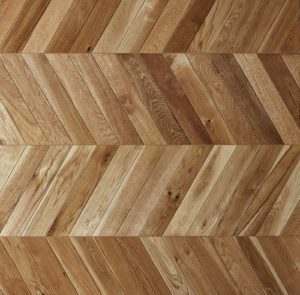 Trends currently include the skip sawn or cross cut look or finish which is huge in Europe, because it has a terrific texture, and then also herringbone and chevron. 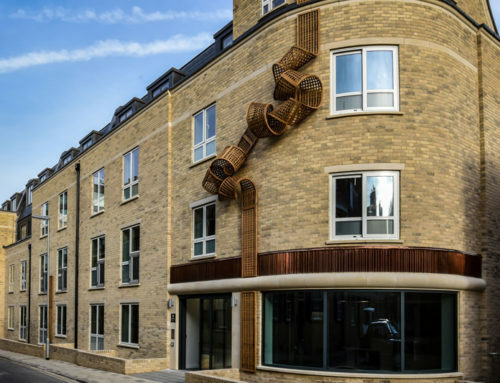 Due to the versatility of the product the client could in fact choose any wood look which would include rustic knotty wood, right through to a smooth finish, with little grain and fewer knots. Hardwoods are generally classed by the slow nature or growing cycle. Essentially engineered flooring can be made from any of the classed hardwoods however the most common hardwood used in South Africa is oak. It is the most popular because it is an easily available hardwood, and because it comes from sustainable forestry which is highly important. Engineered hardwood floors are easy to clean and maintain and typically can last up to 30 years due to the process in manufacturing that includes multiple stages of wood treatment. Because the surface layer is a true wood, it can also be sanded down and re-sealed. Engineered plank technology makes working with wood so much more user friendly. It is also more popular in interiors as wall cladding and ceilings. Nick Gluckman is the owner of Oggie Flooring. Oggie Flooring is equipped with world-class technology, which enables them to cut textures into the hardwood surface giving clients more choice. Oggie have a unique Dutch colour finishing lab with specialised floor coating machinery, which gives clients the floor colour and consistency that they are looking for, finished with several coats of Woca Denmark commercial grade oil.